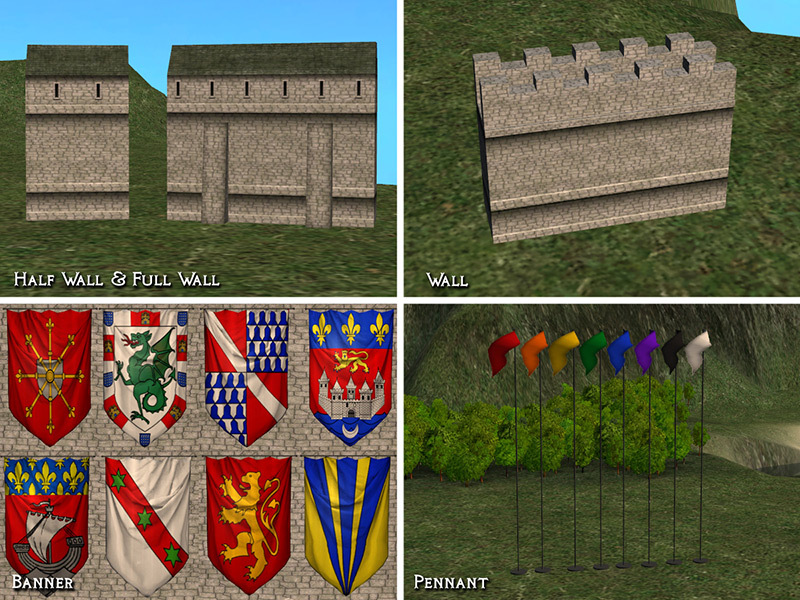 This is a set of decorative mix-and-match pieces to create a town wall in your neighborhood. 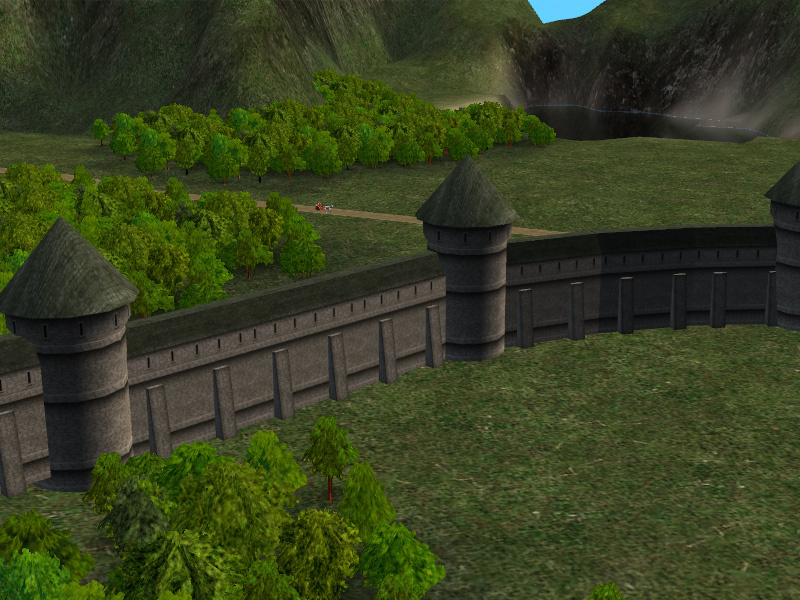 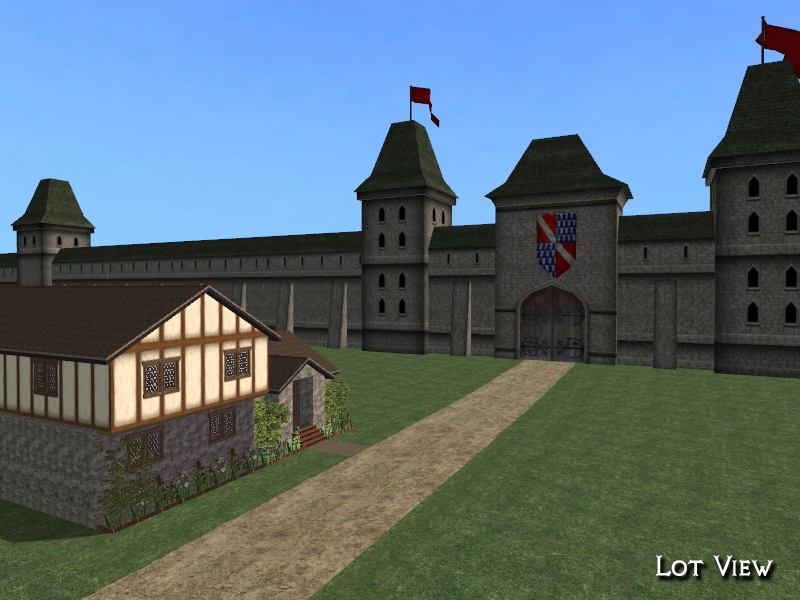 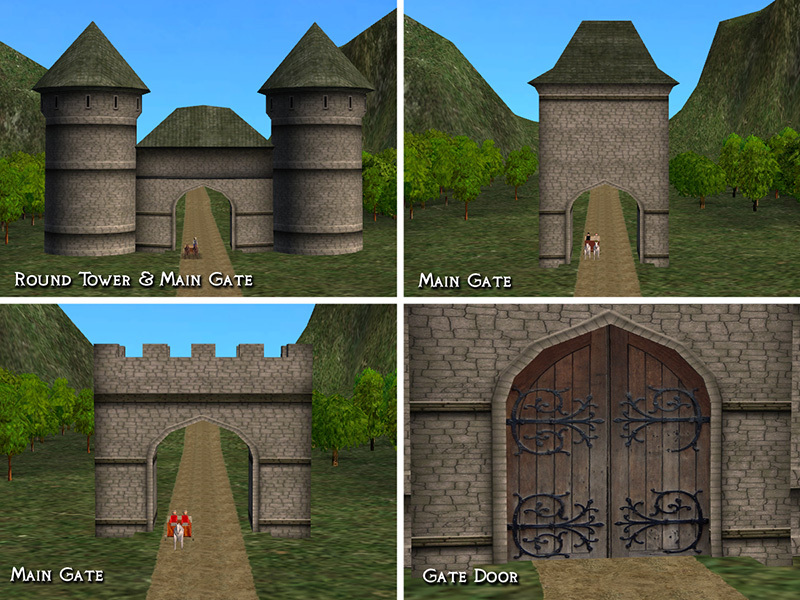 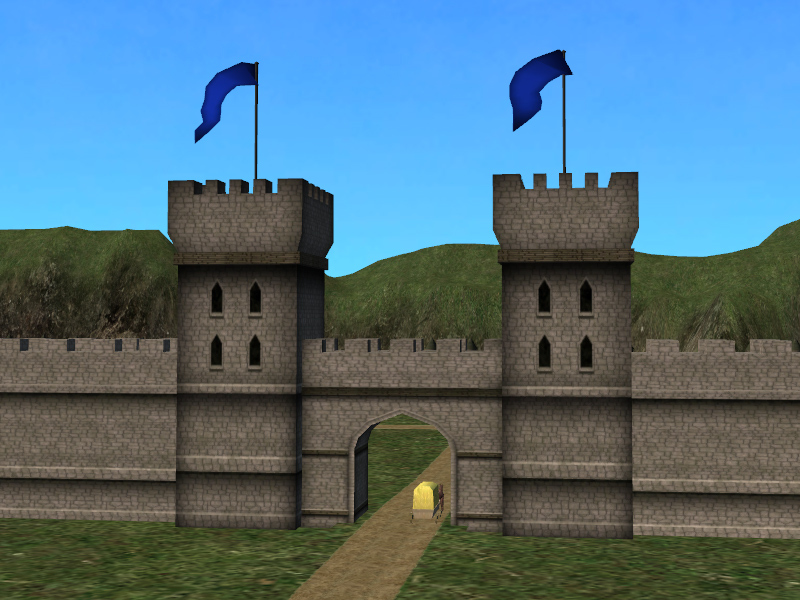 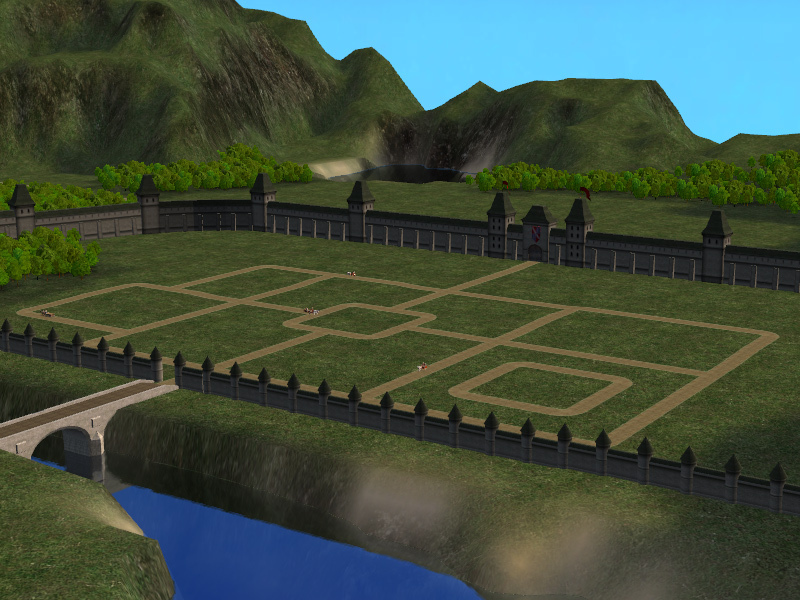 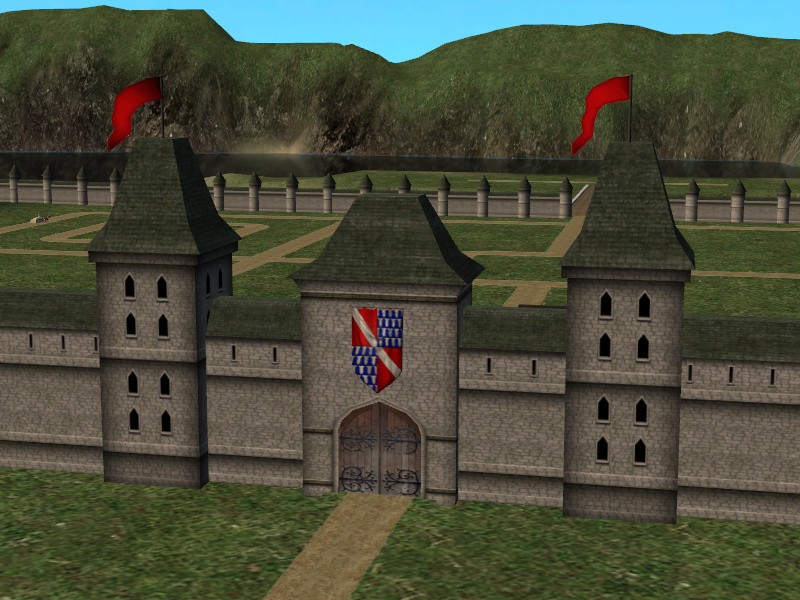 The texture coordinates with the SimStore Castle Set (which is not required to use the town wall). 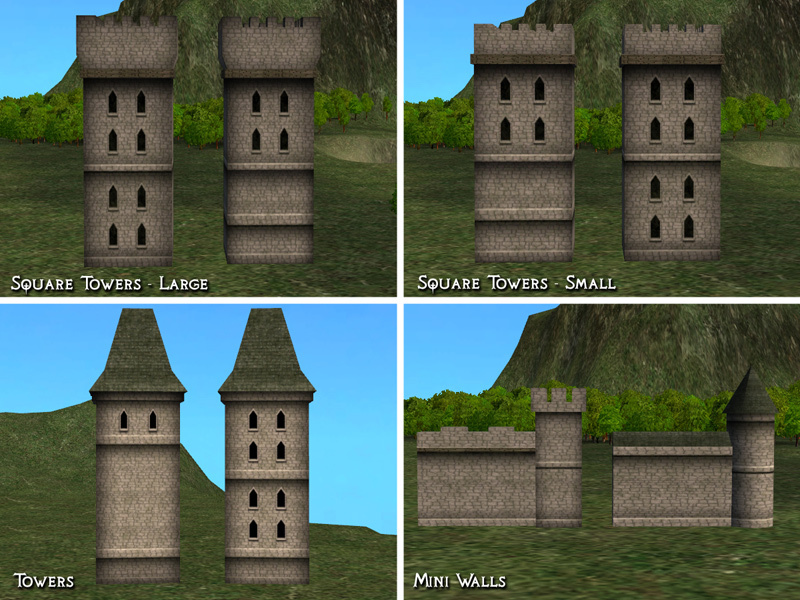 UPDATE 6/18: Added 2 mini walls without attached square or round towers to the set by request.